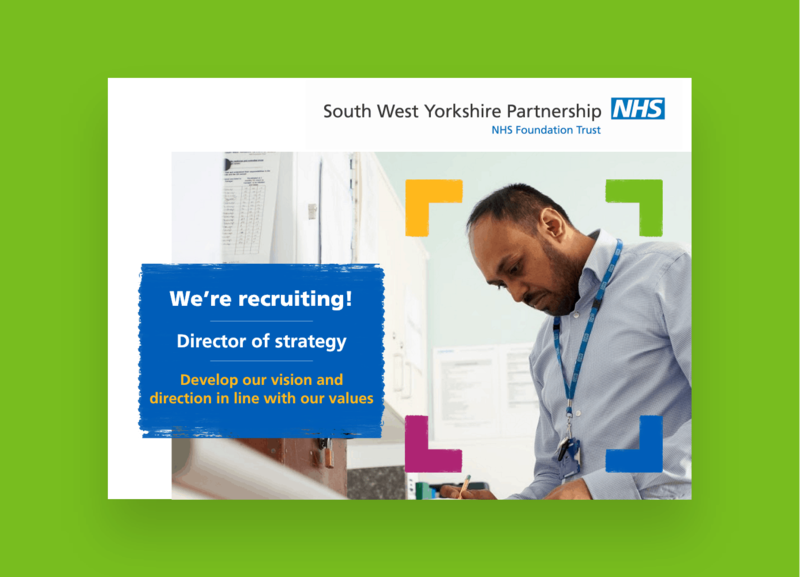 We are delighted to announce that Team Creative has joined forces with the South West Yorkshire Partnership NHS Foundation Trust on a Social Media campaign, to find the new Director of Strategy for the Trust. 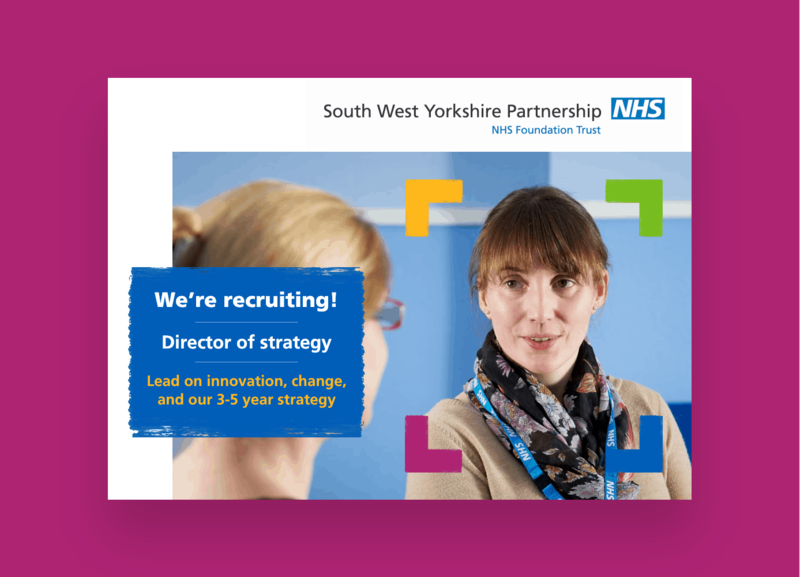 Creativeworld was approached by the South West Yorkshire Partnership NHS Foundation Trust to collaborate on a social media campaign. Given Creativeworld’s experience with the management of many high profile social media campaigns, the team was ready for a new challenge. The brief was to advertise a new vacancy for the Director of Strategy job post in a way which would draw in the best possible talent. When seeking to fill a job role it is always vital that you choose the right person. 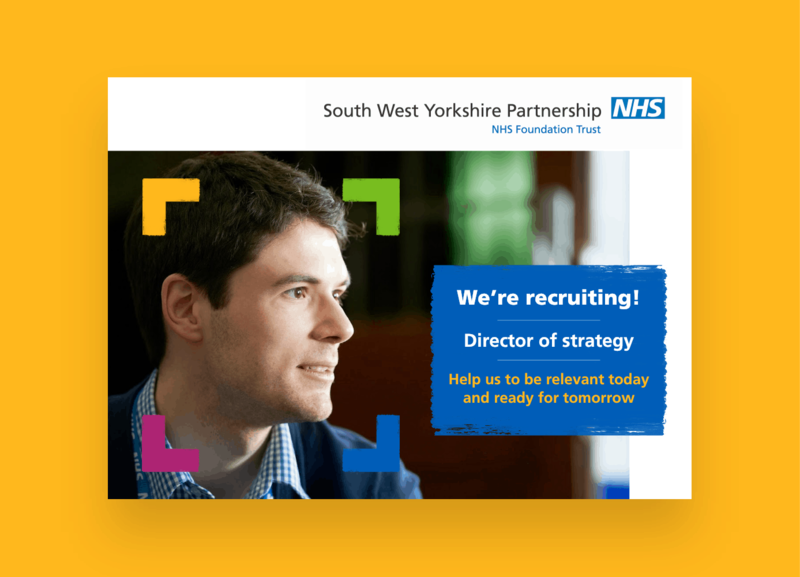 With this in mind, the South West Yorkshire Partnership NHS Foundation Trust knew that promoting the vacancy through social media would be the way to go to spread the word to find the right candidate. There’s more and more evidence available to demonstrate how the increase in users on social media is affecting every part of life, and job seeking is a perfect example. For example, did you know that 31% of healthcare professionals now use social media for professional networking? With any social media campaign, it is our aim to publish content that catches the eye whilst also conveying messages with immediate effect. We created several bespoke social media friendly ads which were both eye catching and in-keeping with the NHS online theme. We continued to produce a variation of posts over a short period of time to promote the new role and link back to the job post page which gained an excellent response organically. Then to further the reach we also added some paid advertising into the posts. ‘The social media campaign went really well and we attracted a strong field of candidates, with over 30 applications. Ultimately, we filled the position with an exceptional individual who started with us a few months later.’. Leave your name and email below along with what you are looking for in the message box.